Download free booklets and magazines to whet your appetite. Buy Books to satisfy your hunger for God. Experience the Presence of God at our events, it will satisfy your soul. The purpose of Hungry Hearts Ministries is to teach Christians how to LIVE according to the way of life taught in the Law of God and to BAPTIZE them in the Holy Spirit, so they can WORSHIP the Living God both in Spirit and in Truth. We accomplish this with a five point outreach: local services, Passover and Feast of Tabernacles Celebrations, Pursuit Magazine, books on our purpose, and missions overseas. We are a Ministry dedicated to serving the God of Israel. Too many Christian organizations are focused around men. It takes men and women to serve God; we just need to change the focus from us to Him. Our purpose and our outreach are focused on bringing people to Him. That is, to God our Father and to His Son, (Yeshua) Jesus Christ. We live by His laws because he told us to live that way. We accept His son as our Savior because Jesus paid for our sins with His death on the cross. We want the fullness of His Spirit because it is the power of God living in us. We want Him and all of Him that we can have. We worship God because it is the whole duty of mankind. We worship God because He has redeemed us to Himself. We worship God because we know Him. We teach and practice a Spirit of a God filled life. The Spirit of God is Jesus living in a Believer. It is the power of God to overcome sin in our lives. It is the power of God to open the Holy Scriptures to the mind of the Believer. And it is our open line of contact with the Living God. It is how we feel His Presence. It is how we experience God. We hope that you have a calling to help with what we do. We are called by God to teach and live this way, and sincerely pray that you are as well. Many of our materials are free of charge to further the Kingdom of God. Feel free to order all of the materials that you want. 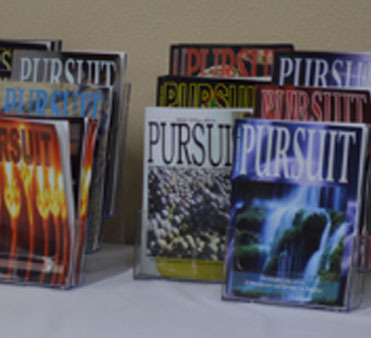 Learn more about our ministry through our free quarterly magazine, Pursuit. You may also download our free booklets. Our headquarters in Jackson, TN was founded in November 2003. We also have churches across TN in Murfreesboro, Cleveland, and Cookeville. Outside of TN we have churches in Corinth, MS and Athens, GA. 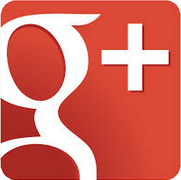 Proudly Providing Service Internationally, with a Focus on Jackson and Nashville, Tennessee. If you would like more information, please fill out our form.